�Contributor� by definition refers to a person who goes beyond the norm in terms of time given; expertise / resources provided; passionate interest toward a cause is revealed; and, strong desire is submitted to bring about a quality result in an organization. William Bergstrom is being deservingly recognized for outstanding contributions to the interscholastic athletic program at Bartlett High School. Bill Bergstrom joined the Webster School Department as a mathematics teacher in 1966. He played a significant role in contributing toward the welllness of student athletes at Bartlett High School right up to November 2014 - a remarkable 48 year run. 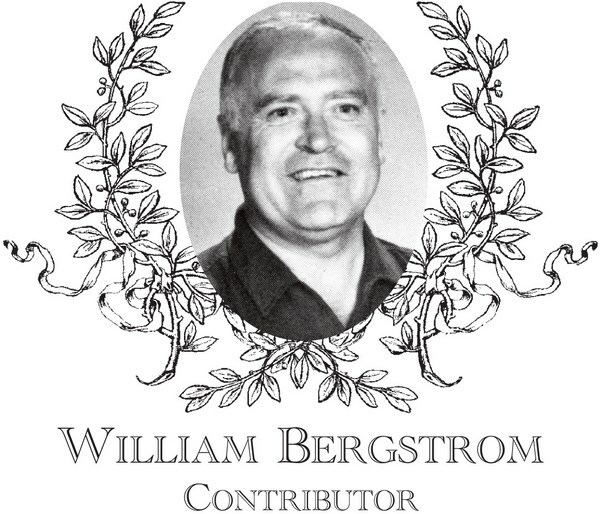 In the 1981 yearbook, girls basketball scribe Katie Deary stated, �the girls JV team would like to take this opportunity to thank Mr. Bergstrom for all his dedication and hard work to make the girls what they are today. The thing we are most grateful for is his determination in preparing us for the future�; and, in the 1983 yearbook scribe Debbie Bourget noted, �Our coach Mr. Bergstrom deserves the highest praise for the time and effort which he placed in his assistance to our unforgettable season�. Bill had the pleasure to coach both of his daughters, Ellen and Karen in the early 1990�s and both served as captains of very successful BHS hoop teams. In other areas of the athletic arena � he has made an impact at BHS. He was the sole BHS junior varsity home softball game umpire from 1980 to 1990. Also, he served a stint as the sole BHS junior varsity football referee for home games. His love of supporting BHS varsity football propelled Bill Bergstrom into another Guinness Book of Records type feat whereas he has served as the only game announcer at BHS varsity football team home games from 1970 to present as the �Voice of the Green and White�. That time span of 44 consecutive seasons in the BHS Press Box has seen him announce approximately 250 home football games!! An incredible contribution to BHS athletics!! Bill joins his daughter Karen as a member of the BHS Athletic Hall of Fame. Bill and his wife Mary presently reside in Dudley.